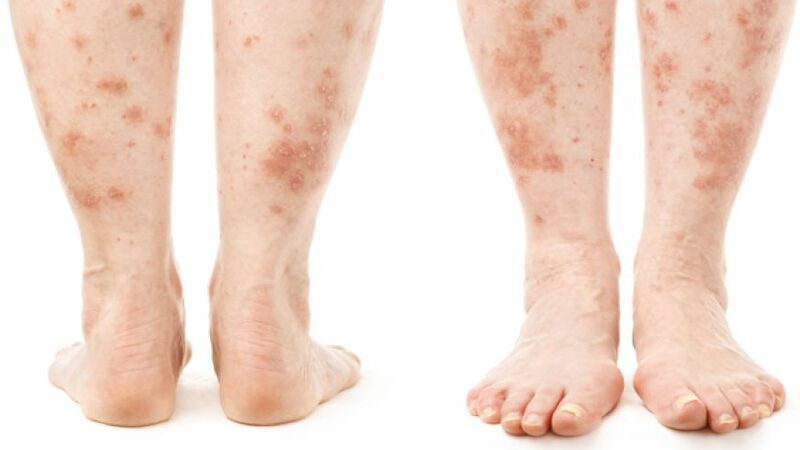 Psoriasis is a non-infectious, inflammatory disease of the skin. It is characterized by well-defined erythematous (reddish) plaques with large adherent silvery scales. The main abnormality in psoriasis is an increased proliferation of the skin layers due to excessive division of the cell in the basal layers of the skin. Severe itching may associate with the plaques. Dryness of the skin and silvery scaling are characteristics of this condition. 1% to 3% of the most population has Psoriasis. It is often seen between 15 to 40 yrs of age. Psoriasis occur when the immune system overreacts, causing inflammation and flaking of skin. Streptococcal infection of the upper respiratory tract may exacerbate the condition. Many may develop zero- negative inflammatory arthritis, which is characterized by multiple involvements of joints and pitting on nails. Accumulation of low potency poisons (Dooshi vishas), are the basic pathological changes taking place in the system. Alcohol and tobacco consumption will act as a catalyst. By treatment, Ayurveda aims at the detoxification of the body or elimination of toxins from the body fluids. It is achieved by “Panchakarma” treatments. The treatment schedule comprising of various treatment aspects of Ayurveda. This includes internal and external medications purely of plant origin. Consumption of medicated ghee, considering the Dosha type of the Psoriasis and the person, for 5 to 7 days. Detoxifying, by inducing vomiting (Vamana) and purgation (Virechana). This is followed by medicated buttermilk dripping overhead (Thakradhara) and pasting the entire body with a paste of medicines. Basthies (medicated enemas) are being done for 8 days and internal medicines like herbal concoctions; medicated ghee has to be consumed for at least 90 days. A strict diet regime has to be followed during the entire treatment period. Yogurt, black gram, chillies and salted thing have to be restricted. Avoid refrigerated/chilled foods. Psoriatic must keep a state of mental calmness. At Ayurclinic, a personalised diet tailored according to the individual constitutional needs, will be advised.